October 11, 2017 — Comments are off for this post. 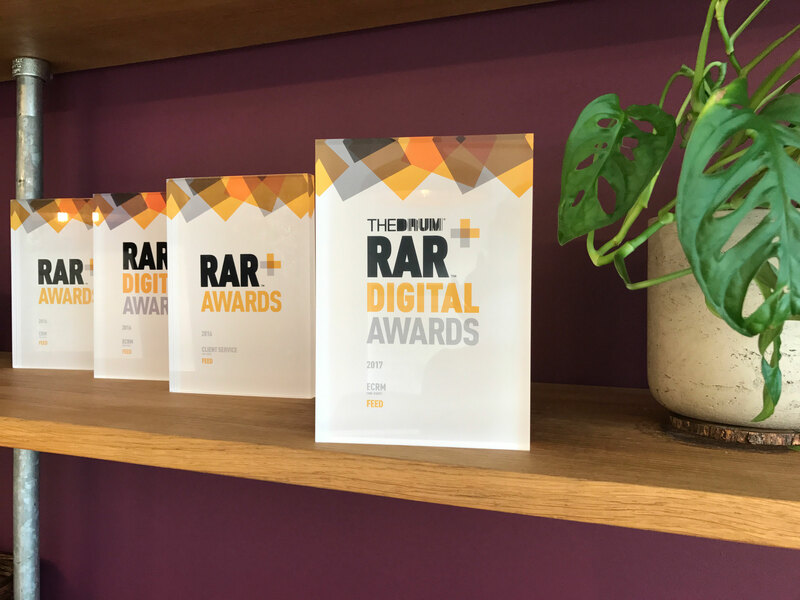 Feed are proud to have won two categories at the Drum + RAR Digital Awards, earning the title of best agency for Email Marketing and best agency for eCRM. This follows on from their successes at last year’s RAR Awards, where they took home best agency for Client Services and best agency for CRM.